Have you ever heard one of the old stories of Japan, ‘Momotaro,’ or the ‘Peach Boy’? One day an old woman picked up a very big peach in the river while she was washing clothes. The baby born out of it was called ‘Peach Boy’. ―― a dog, monkey and pheasant ―― and brought back treasure that the ogres had stolen from villagers. Oh, you’ve already heard this story, haven’t you? But in fact there’s more to talk about what happened after the story. 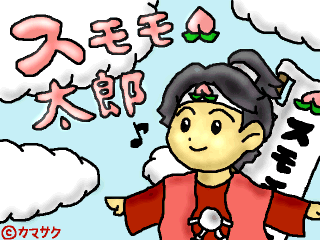 Since then Peach Boy had become famous as a hero. Soon his good reputation reached the court, and he was called to work there. So he moved into the Capital, and started working there. He became so busy that he had little time to visit his parents. Meanwhile, the old man and his wife, who used to be a good and hardworking couple, seemed to become very greedy after their son, Peach Boy, brought back the ogres’treasure. Perhaps without being aware of it, their characters were changing little by little. One day the old man picked a very big plum on the hill, and brought it back home. A baby was born out of it, and they called him ‘Plum Boy’. He grew up so quickly. In only a few months he grew up to be a tall handsome boy. The old man thought that it would give him another big chance to make his second son get more of the ogres’ treasure. The old man told Plum Boy about the adventures of Peach Boy on the Ogres’ Island. Although he hadn’t met the famous Peach Boy, he could imagine what kind of person his brother was. But, unlike Peach Boy, he was a kindhearted boy who didn’t like fighting with anyone else. So when his greedy parents told him to go to the Ogres’ Island, he didn’t just say yes. But the old man irritatingly said to him over and over. His wife made some dumplings for him, and they forced him to leave as soon as possible. On his way to the Ogres’Island, he met a dog. Actually the dog had once worked for Peach Boy with two other followers. “I’m going to go to the Ogres’ Island like Peach Boy did. But the dog didn’t show any interest. “I once worked for Peach Boy. He’s become famous and got a good position in the court. But what he gave me was nothing except a dumpling his mother made. Perhaps you will do the same thing. He also met the monkey and pheasant, but both of them also rejected his request that they go with him. Therefore he had no followers yet, he kept traveling to the Ogres’ Island. After a long journey and voyage, he reached the Ogre’s Island. He became pretty tired and hungry, but he didn’t have anything to eat as he had already eaten all the dumplings he’d brought. He looked around and found a tree heavy with ripe fruit. He reached his hand to one of the fruit and ate it. It was so delicious that he ate them one after another. He didn’t know how many he’d eaten. A while later, he stopped eating fruit and took a deep breath. Then he noticed that a beautiful girl wearing a scarf around her head was gazing at him, and coming toward him. “Hi, you are a stranger here, aren’t you? Nice to meet you. My name is Apricot,”said the girl. “I see you have horns on your head. You ate some ogre fruit out of that tree, didn’t you?” asked the girl. He didn’t believe what she was talking about at first. He doubtingly touched his head with his hands. What? He felt something strange on his head. “Look, actually I am the one who has—,” saying that, she removed the scarf from her head. “One day I got lost around here. It was a hot day, and felt so thirsty that I couldn’t help eating the fruit. Although she was a nice looking girl, she had two little horns on her head. “Since then I’ve lived here with other ogres, if you want to call them that. “I’ve never thought ogres used to be human beings. I thought ogres were a sort of beasts and always doing bad things, like kidnapping children and robbing us of treasure,”he said. Our folks are all kindhearted and hardworking people. “Have you ever heard a boy called Peach Boy? I’ve never forgotten that terrible day. He and his three followers, a dog, monkey and pheasant, attacked this island. they destroyed our houses, killed and injured many of our folks, and robbed us of precious treasure we had made. “I thought that ogres were cruel and ugly beasts. But now you’ve convinced me that they aren’t. “I hate to say it, but I have to confess that Peach Boy is my brother. I know your feeling, but please believe me. I’m not the kind of person who likes to fight under the pretense of keeping and defending what’s right. My parents forced me to come here to do the same thing as my brother did. I hate them. I hate their idea. Now that I know ogres aren’t bad, I don’t want to return home. Since I have horns on my head, I must say I’d rather belong to your community. If you and your folks accept me, I’d like to live on this island. He talked openly of the fact that his brother was Peach Boy. But the girl and the openhearted folks on the island accepted him. Plum Boy and Apricot soon fell in love with each other and lived happily on the island forever. 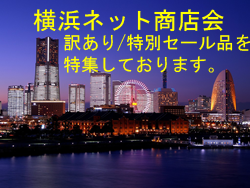 Copyright © 横浜こぼれ話 All rights reserved.